What are the protected rights and who can acquire them? Are all EU citizens safe? What if an EU citizen already possesses a permanent residence document? How will the future status be protected and enforced? What about EU citizens who are outside the UK on 31 December 2020? What about EU citizens with criminal records? Done deal, are we all happy? 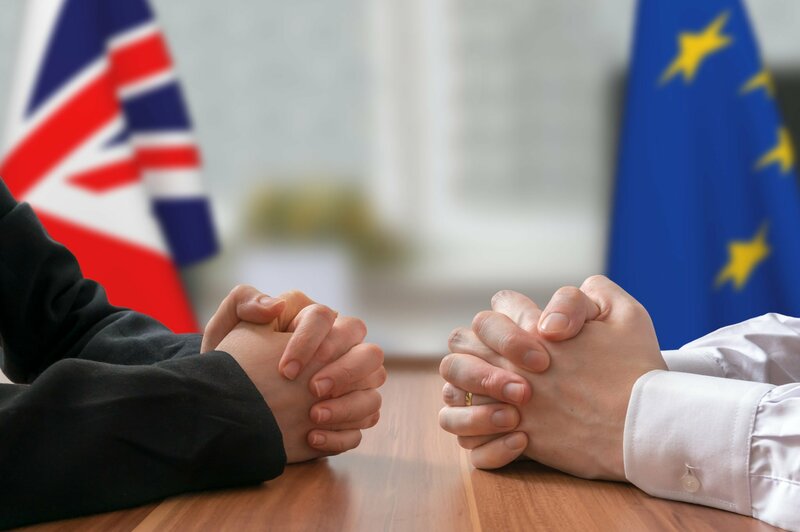 On 19 March the European Union and the UK published the impressively named Draft Agreement on the Withdrawal of the United Kingdom of Great Britain and Northern Ireland from the European Union and the European Atomic Energy Community. In other words, a draft Brexit divorce agreement. This blog post will focus on Part Two of the “Draft Agreement” (the shortened, and less intimidating, term I’m going to use) which concerns the protection of EU citizens in the UK and reciprocal rights for UK nationals living in the EU. All of this text is highlighted in green in the document issued by the negotiating teams, meaning that it has been fully agreed. As we are constantly being told, “nothing is agreed until everything is agreed”, but the Draft Agreement does at least give us the best clarity on EU citizens’ rights that we have had to date. This deal confirms what EU citizens in the UK should expect now and throughout the transitional phase beginning on 29 March 2019, and what they will be required to do to ensure they can continue to lawfully reside in the UK after transition ends on 31 December 2020. It leaves some questions unanswered for those who are not covered by the protections of the Draft Agreement. The Draft Agreement ensures that EU citizens and their family members, who are legally residing in the UK in accordance with Union law, can continue to do so. This means that those EU citizens who are working, self-employed, who have sufficient resources for themselves and their families, who are studying, or have retained these rights, will be protected under the Draft Agreement. The UK may, should it choose to do so, require EU citizens and their family members living in the UK to apply for a new residence status and in doing so set requirements which can be less but not more stringent than those contained in the Draft Agreement. The purpose of any such application is to verify the EU citizen’s pre-existing right, and their family’s pre-existing right, to reside in the UK. The resulting residence status is being called “settled status” by the Home Office. The Draft Agreement also protects certain family members who are not living in the UK at the end of the transition period, allowing this select group to join their EU citizen relative later. Those family members not included in this select group will need to apply under stringent UK immigration rules if they wish to live in the UK. Certain other rights currently enshrined in EU law would be preserved, including benefits and healthcare entitlements. EU citizens who have made contributions into the UK benefits and pension system will continue to benefit from those contributions during their time in the UK and will continue to do so if they subsequently relocate to the EU. EU citizens will be allowed to be outside the UK for five consecutive years without losing these rights, which is longer than the two year period currently allowed. This Draft Agreement has evolved slightly from the European Commission’s draft of the agreement published on 28 February 2018. As is generally the case with evolution, most of the changes are for the better. The UK has accepted that the Court of Justice of the European Union will remain the final arbiter of the interpretation of EU law for the rights of EU citizens. Also, and amazingly, the Home Office’s preference to give lesser rights to EU citizens arriving during the transition period — that is, between 29 March 2019 and 31 December 2020 — has been defeated. This policy didn’t last very long and is a major victory for the EU. Free movement is locked in until the end of 2020. Both are substantial concessions by UK government and it will be interesting to see how this plays out within the Conservative party. Evolutionary changes are not always for the better. The Commission draft contained protections for EU citizens who marry or enter into civil partnerships after 31 December 2020, enabling their partners to come to live in the UK at a later date. This has been removed. Only those who are so related before 31 December 2020 are protected. If the UK chooses to implement an application process, the deadline for those who have resided in the UK before the end of the transition period to make an application has been reduced from two years to a maximum of six months from 31 December 2020. We will cover these deadlines in more detail below. EU citizens who have resided in the UK lawfully for five years before 31 December 2020 will be entitled to “settled status” to protect their continued right to reside in the UK. This settled status will not be automatically conferred; all EU citizens, including those with permanent residence documents, will have to make an application to acquire it. Those who arrived in the EU before 31 December 2020 but who have not lived in the UK for five years will be allowed to apply for temporary status (also being referred to as “pre-settled status” by the Home Office to enable them to acquire five years of residence. At that point, they can apply for settled status. EU citizens who lived in the UK as self-sufficient persons or students will not need to show that they had comprehensive health insurance in order to qualify for the new settled status. Those that do not apply before the application deadline will, without serious and good reasons for not doing so, be residing without permission and will be subject to removal. EU citizens and family members who acquire new criminal convictions or issues affecting their character from 31 December 2020 will be subject to assessments under UK immigration rules and could see their documents revoked and, if not removed from the UK be banned for a period from applying for British citizenship. Family members will be allowed to reside in the UK under these proposals so long as they were already residing in the UK before 31 December 2020. Specific family members may be allowed to join EU citizens after 31 December 2020. All other family members will be excluded from protection under the Draft Withdrawal Agreement. The agreement does not cover Norway, Iceland, Lichtenstein and Switzerland, but it is expected to extend to those countries in the future. Irish citizens, it is said by the Home Office, are not affected and will not need to apply for settled status. Andriana is a Greek national who will have been resident in the UK for 10 years when we leave the EU on 29 March 2019. Andriana will continue to have the right to exercise her free movement rights to live and work in the UK up to the end of the implementation period on 31 December 2020. As Andriana has been living continuously in the UK for over 5 years (without an absence of more than 2 years after that 5 years), she also immediately qualifies for settled status, subject to criminality and security checks. This means she can apply for settled status under the new UK scheme once it is open. Once she has received her status she does not need to do anything further after the UK leaves the EU. Andriana will have successfully obtained her immigration status in UK law. It’s OK if Andriana doesn’t immediately apply for settled status. She can remain in the UK after exit and continue her activities during the implementation period. However, she must apply to the Home Office by 30 June 2021 for permission to stay if she intends to carry on living in the UK afterwards. Christophe is a French teacher who arrived before the UK’s exit from the EU and will have been resident in the UK for 4 years at the point the UK leaves the EU in March 2019. After the UK leaves, Christophe will be able to continue to live and work in the UK until 30 June 2021 without having to make an application. As soon as Christophe has been resident for 5 years, he will be entitled to apply for settled status which will allow him to settle in the UK permanently. Only EU citizens who fall under Article 6 and Article 7 of Directive 2004/38/EC, and who are legally resident in the UK, will be protected by the Draft Agreement. This means the EU citizen must be and continue to be a worker, self-employed person, student, or self-sufficient person, or have lawfully retained those rights. The agreement is silent on what happens to EU citizens who cannot meet these requirements after 31 December 2020. The UK government’s proposes to implement the Draft Agreement by introducing the “settled status” scheme. So far, it appears to be more relaxed, as it will not actually require EU citizens to demonstrate how they meet Article 6 and Article 7. The UK government has said that EU nationals will only need to evidence that they have been and are living in the UK, and undergo criminality checks, in order to qualify under their proposed application process. Nath has previously written about how this application process will look like and why it should be easier than current Home Office applications under EU law. The Draft Agreement confirms that deadline for submitting the application for temporary and settled status shall not be more than six months from 31 December 2020. For family members who join EU citizens in the UK the deadline to submit their applications shall be three months after their arrival or not more than six months after 31 December 2020, whichever is later. If the Home Office system collapses under the burden of the workload, the deadline to submit applications can be extended by an additional year. The Home Office will need to notify the EU and EU citizens where technical difficulties in the application process occur. One problem arises for EU citizens who are not resident in the UK on 31 December 2020 but have the right of permanent residence here. The Draft Agreement, on first glance, suggests that those EU citizens who already hold a permanent residence document for the UK but who are not living in the UK as at 31 December 2020 may not be included in the new application process. We’ll consider this point in a little more detail below. The same applies for children born or adopted after 31 December 2020. Other dependent relatives (for example, aunts, uncles, brothers, sisters, cousins, nieces, nephews) will be protected by the Draft Agreement so long as they were already residing in the UK prior to 31 December 2020. Also included in the Draft Agreement are other persons whose presence is required in the UK by EU citizens in order not to deprive that EU citizen of their rights. For example, a non-EU citizen carer of an EU citizen child will be included in the protection of the Draft Agreement so long as they were residing in the UK prior to 31 December 2020. What are the UK immigration rules for family members? To sponsor a spouse to enter the UK, the British citizen must have been earning at least £18,600 for at least six months (two years for the self employed), meet complex and onerous various documents to prove this and the spouse must pass an English test. The total application fee for a spouse, including extension and settlement applications, currently costs over £5,500 but this increases by around 20% per year. Fernando is a Spanish national. He arrived in the UK on 10 April 2010 and started working immediately after. 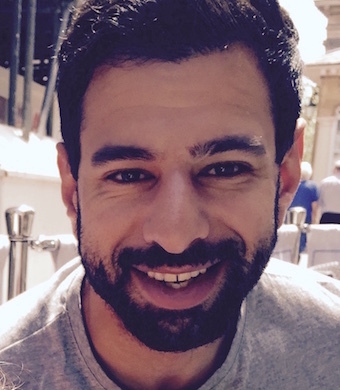 He acquired the right to permanent residence on 11 April 2015 and will be able to apply for settled status. On 5 April 2019 he marries Joanne, a South African national. Their relationship started in May 2016. Joanne wants to join Fernando in the UK. Because their relationship and marriage occurred before 31 December 2020 Joanne will be able to apply under the new application process to join Fernando in the UK. Jan is a Spanish national. She arrived in the UK in 2008. After five years of working, she applied, in 2013, for a permanent residence document. One reason for her journey to the UK was to earn a higher salary and to send this money to her father, Mateo, in Spain. Mateo is unwell and cannot work, so he relies entirely on the money Jan sends him. In February 2021 Mateo becomes so ill that he cannot move and requires long term care. Mateo will be able to apply to join Jan in the UK. He decides to do so in March 2021. Within three months of arriving in the UK he applied for temporary status to secure his right to reside with Jan.
Children of those applying for settled status can apply for settled status at the same time as their parents. Those born in the UK by parents with settled status will be born British. All EU citizens, and their family members, will be able to move freely into and out of the UK. An EU citizen can continue to use a valid passport or national identity card for travel. Non-EU family members cannot use their national identity card, and must rely on their passport for travel. After five years following 31 December 2020, the UK may decide not to accept national identity cards as a travel document for EU citizens if the national identity card does not include a biometric chip. Those who possess temporary and settled status will not be required to apply for exit or entry visas. For those that do not possess the new documentation, the UK has the option to implement exit or entry visas. For family members who reside outside the UK on 31 December 2020 and are able to join their EU citizen family members, they will be required to have an entry visa. The UK should assist that person in doing so and any such visa should be free of charge. Those who already hold a permanent residence document can have that document converted into the new settled status document free of charge subject to verifying their identity, a criminality and security check and by providing confirmation of continued residence. This means that those who have already paid once will not be required to do so again. Therefore, there remains a benefit to obtaining a permanent residence document under EU law now. Being in possession of a document will avoid having to undergo a full assessment later, simultaneously with three million other EU citizens plus their family members. Also, no matter how simple the new process is or how well publicised, there remains ongoing confusion as to the status of EU citizens or family members now when managing their day-to-day lives, and this may increase as we move beyond 29 March 2019 and into the transition period. Holding a document will prevent confusion when individuals attempt to rent a property, move between jobs or open a bank account. That is not forgetting the scenario, however small, that Brexit does not occur and the UK remains part of the European project. If the new application under the UK government’s proposed scheme is refused before 31 December 2020, the application can be remade. After 31 December 2020 the applicant will have to appeal the decision to the UK First-tier Tribunal (Immigration and Asylum Chamber). While the tribunal will decide the appeal, the Court of Justice will continue to be the ultimate arbiter of the interpretation of EU law for the rights of citizens. This means the UK courts can continue to refer to its judgements. It also means that UK courts can continue to seek further interpretation and clarifications from the Court of Justice in areas of uncertainty for eight years after 31 December 2020. While the Court of Justice will continue to have the final say for an eight year period, it falls short of the promise of full protection for the citizen’s lifetime. But with the adjudication and enforcement mechanism remaining in place for the short term, the rights of EU and UK nationals living abroad will be secure for sufficiently long enough a period to acquire citizenship from their host state. It does mean that acquiring citizenship of a host country may no longer be a choice but a necessity for some. EU citizens and their family members, who will be living outside the UK at 31 December 2020, should be considered as having a right of residence if they have acquired, and not subsequently lost, permanent residence. There is no rule on in-country or out-of-country applications in the Draft Agreement, which supports the view that permanent residence is evidence of residence, and an application for settled status can be made from outside the UK so long as they have not lost the right of permanent residence through an absence of a consecutive five year period. Any EU citizen currently residing outside of the UK who sees the UK their long-term home should consider applying for the document confirming their right of permanent residence in the UK. It will be easier to refuse settled status on grounds of criminality than it is now for EU citizens, or their family members, who acquire new criminal records or new issues of conduct after 31 December 2020. Currently, there is a very high test under EU law requiring EU citizens to pose a genuine present and sufficiently serious threat to justify removal from the UK. This stringent test will continue to apply for all EU citizens and their family members for criminal records or issues of conduct acquired before 31 December 2020. People who acquire convictions or conduct issues after 31 December 2020 will no longer be protected by this EU law test. Instead, their applications will be subject to the UK’s assessment of criminality, which has a lower threshold to justify removal, leaving this group of EU citizens and family members at a greater risk of removal. While it is easy to tell individuals not to get into trouble, sometimes it is not always within their control. The vulnerable will be at a greater risk of falling under the UK assessment of criminality in the future. What will happen to EU citizens resident in the UK but not legally because they were not, for example, working? What about homeless EU citizens who are not exercising treaty rights and may not be considered lawfully resident in the UK? Will an EU citizen with a permanent residence document but outside the UK on 31 December 2020 be excluded from applying for settled status? Will an EU citizen without a permanent residence document but who has automatically acquired permanent residence and living outside of the UK on 31 December 2020 be excluded from applying for settled status? Why should EU citizens who start relationships or get married after 31 December 2020 be prevented from bringing their partners to the UK under the new application process? While some questions remain unanswered we should not lose sight of the fact that we do have clarity for the majority of EU citizens currently in the UK. This blog post was originally published on 11 December 2017 and has been updated so that it is correct at the new date of publication.